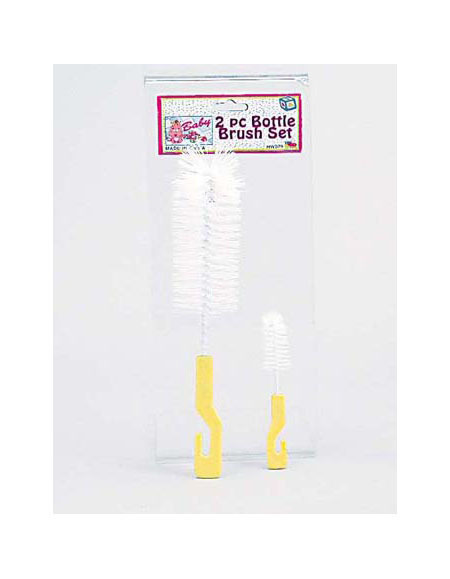 Perfect for cleaning and scrubbing bottles, long glasses or sippy cups, this 2-piece Bottle Brush Cleaning Set features one small and one large brush. Large brush measures approximately 8 1/4" long and small brush measures 4 3/4" long. Comes in assorted colors. Comes packaged in a poly bag with a header card.